Our 2017 ended on a high note, with lots of closings, and properties going under contract. We finished the year at the top of the pack on St. George, and in all of Franklin County. Thanks to all our customers and fellow realtors who worked the other side of lots of those deals! And thanks to a fabulous set of mortgage brokers, title agents, insurance agents, home inspectors, contractors, and closing attorneys - our community of service providers is the best anywhere! And 2018 is off to an even brighter start. We currently have had one closing and 6 properties under contract, due to close this month - not bad for January. 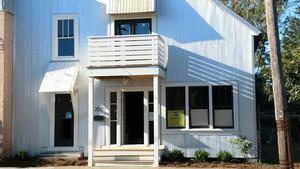 People are buying everything from vacant commercial land to beachfront homes, to building lots. Inventory is definitely tightening up, but we're doing our best to bring great new listings to the market, sure to suit the appetite of investors throughout our community. 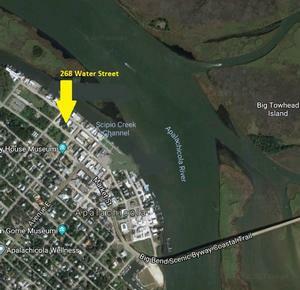 Here's one exciting new listing - a building with some real history, in the up and coming Bowery District of Apalachicola. Stay tuned for a nice video of the vibrant Water Street, and where this commercial property fits in the coolest part of town. 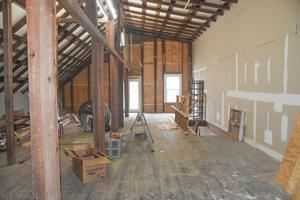 Solid lease downstairs, open loft vacant and ready for anything upstairs! Call us.... we'd love to help....!